My thanks today to Rick Shreiner for the following coincidence story about meeting an old friend amongst a 55,000 crowd. 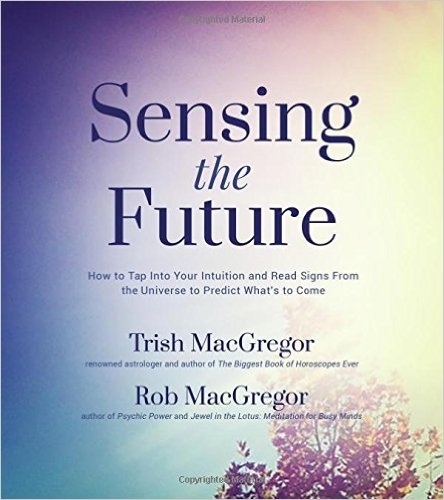 In 1982 I was living in Seabrook, Texas which is about a 40 minute drive south-east of the Houston Astrodome in Houston, Texas. 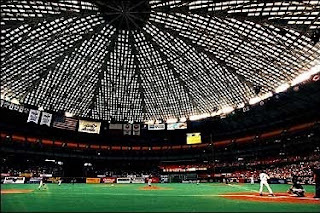 During the baseball season, a group of my friends and I sometimes visited the Astrodome to watch the Houston Astros play home games. On one occasion we were a larger group than usual. I wound up making the trip up to the Astrodome with some new 'recruits' who had never been along with our group. I was to guide them to where we usually parked our cars and, in the event we became separated from the others, to assist them find the section where our group always sat. Somehow, we got separated from the convoy of cars travelling north to the stadium, and wound up arriving after the others had already entered the stadium. As luck would have it, I also suffered some form of 'mental block' which caused the small group I was leading to buy tickets in a section that was below and adjacent to the section where our group usually sat. We were not able to get up to the other section so we sat in the seats for which our tickets were allotted. After the third inning, I figured that I should make contact with the larger group who were sitting in our 'usual seats', just to let them know that we had arrived, and that we were sitting in another section. Mainly to assure them that we had not been involved in an accident or such. I went out to the outer walkway and up to the next level, then found the double doors leading to the section where all the others were sitting. I spoke with an elderly man who was inspecting tickets and explained my situation to him, and asked if I could just go in and speak with my friends, and then I would return to my friends in the lower section. I pointed out to him which of the people who were seated about 40-50 feet in front of where we were standing that I wished to speak with, and told him that I would just walk down to those seats, tell them that we were at the stadium, and then come right back. I believe I let fly a few choice swear-words, but knowing that he was not going to let me in, I just left the spot. 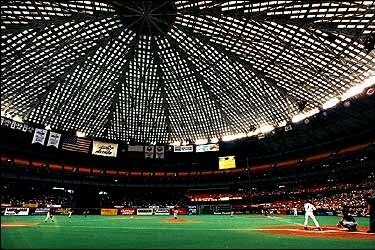 Now it is worth noting that the Houston Astro Dome was at the time, the first and largest domed stadium in the world, seating over 55,000 people on several levels. It's nickname was 'The 8th Wonder of The World'. Knowing that I still needed to reach my friends to let them know what had happened to our group, I went back to the outer walk [pedestrian hallway] that goes completely around the stadium [one walkway on every level] and walked about halfway around the entire stadium on this outer walk. Then I went to another set of double-doors and found an usher there who was checking tickets. I explained to this second man my predicament, and he let me in to the seating section which was almost exactly opposite the stadium from where my friends were sitting, and even the group that I had come with [although they were one level down]. I walked up to the railing where I could see across the stadium (I'm guessing it must have been about 470-500 feet - 160-170 meters - over to the opposite railing) and could easily see the small heads of my friends, but they did not see me, of course. The sections on both sides of where I was standing were very sparsely filled, and so I continued walking around the stadium, this time on the inside, alongside the railing nearest the field. This railing was about 60-70 feet (20-25 meters) above the lower section below that I was traversing. I was able to follow the railing for about two sections, and then came to two more sections which were, for reasons unknown to me, almost completely filled with spectators. I didn't wish to squeeze between all of the spectators in those two sections, many of whom had their feet up on the railing, or were standing, and leaning on the railing, so I took the stairs up and continued around those two sections, without leaving the area 'inside' the outer walkway, for fear of not getting back in. When I had passed these two sections I walked back down the steps and up to the railing again, and saw that I was indeed, much closer now to my friends, and there were only about 5-6 sections remaining to be traversed. As I stood at the railing, about 10 seconds after walking up to it and gazing out over the field and the magnificence of the Astro Dome, a man I had not seen, sitting directly at my right, in the first seat, in the first row, of the first open section leading to my friends, still a few hundred feet away, leaned forward and tapped me on my shoulder. He spoke my name and seemed quite surprised to see me! As it turns out, it was a friend that I had gone to college with, over 2000 miles away, and had not seen in about 6 years! I did not know that he was in Houston, but he knew that I lived somewhere in the suburbs of the city, but had no way of contacting me. He lived in Houston by himself, while his family remained in St. Louis, Missouri and he 'commuted' back and forth during the week. He had only been doing this for about 6 weeks. On this particular night, I believe it was a Tuesday, he decided to go to the baseball game by himself, since he was bored and thought it would liven up the boring work-week, and he figured it would be a real 'hoot' if he should bump into me at the stadium!! Now what are the odds of this happening? It could have been any one of my friends that had accompanied this new group to the stadium and then I wouldn't have led us astray. The old man at the first door could have just let me in to inform our friends that we had arrived, and that would have been the end of it. Or, I could have chosen to walk the other way around the stadium and would never have 'bumped into' my friend. Sometimes, looking back on this incident, I just have to wonder how great the odds were against me having walked back to the railing, within 2 feet of where a good friend I had not seen in a long time was sitting, and him thinking he might find me in a stadium that seats 55,000 spectators!! Amazing how things work out sometimes. I think Rick has said it all! Great story. The odds on this one are simply astounding. well told story lots of ways they might never have met. must have been meant to happen.